Life Is About Events. Be Eventurous! Hamilton: An American Musical is a sung- and rapped-through musical about the life of American Founding Father Alexander Hamilton, with music, lyrics, and book by Lin-Manuel Miranda, inspired by the 2004 biography Alexander Hamilton by historian Ron Chernow. Incorporating hip-hop, rhythm and blues, pop music, soul music, traditional-style show tunes, and color-conscious casting of non-white actors as the Founding Fathers and other historical figures, the musical achieved both critical acclaim and box office success. 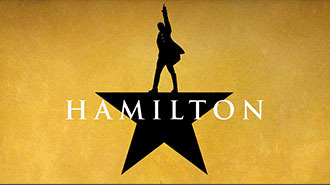 Event Notice: Hamilton is recommended for ages 10+. There is some strong language and non-graphic adult situations. Show Run Time: Approximately 2 hours, 45 minutes, including one intermission. By clicking the "FIND TICKETS" button, you will connect to the designated ticket page selected/created by the event host. Any ticket disputes or cancellations should be brought to the event host/ticket agency. EventPost is not a ticket broker. Event Cancellation Policy: Any ticket disputes or cancellations should be brought to the attention of event host/ticket agency. All events, dates and artists subject to change without prior notice. All ticket prices are subject to change based on demand. EventPost is not a ticket broker. Please Note: This site is independently owned and operated by EventPost. The publication of any event information, event names, brands, images, logos, trademarks, ticket prices, venues, or production companies do not imply affiliation, endorsement or ownership.